New and completely original, Auditor Elipsa springs from the need to provide the Cremona line with a compact loudspeaker, specifically designed for convenient wall mounting or placement in a bookcase. Capable not only of fulfilling the role of rear channel in multichannel installations. CABINET: Elliptical shape design, combination of sandwich construction obtained using hand selected wood layers and solid maple, quality graded and oriented for carefully optimized resonances and standing waves control. MID-WOOFER: 150 mm cone driver with Symmetric Drive Motor System and selected black wood fiber cone, high resolution, treated for break-up control.Dynamic linear suspension. 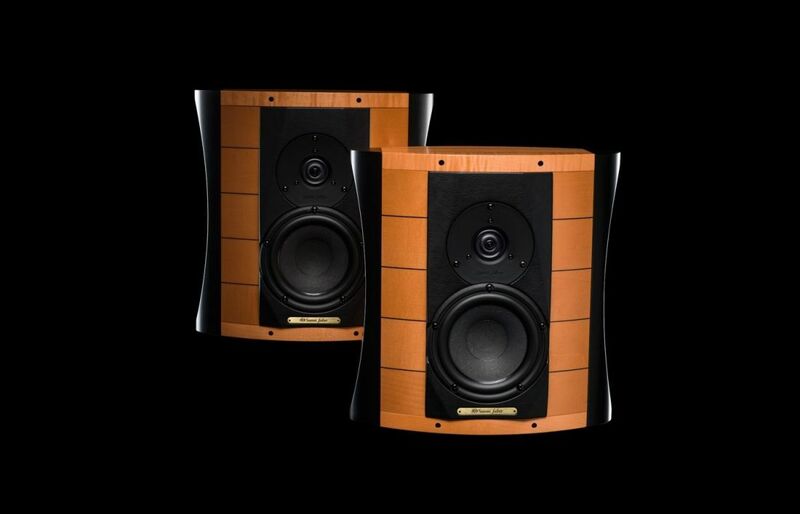 Sonus faber exclusive. CROSS-OVER: Non-resonant second order design, optimized phase characteristics for optimal space/ time performance, cross-over point 2.500 Hz. FREQUENCY RESPONSE: 55 Hz – 30.000 Hz, tuning ports included. SENSITIVITY: 89 dB SPL (2,83 V/1m). DIMENSIONS: 341 x 335 x 224* mm (HxWxD). (*with wall fixing tool). 19,2 Kg per pair – shipping weight.